Facebook Timeline is one of the newest feature launched by Facebook recently with lots of new changes, Facebook cover photo is one of them. With the help of Facebook cover photo you can choose a cover photo for Facebook profile page. CoverCanvas is free app for Facebook which helps you to create a awesome cover page for your Facebook timeline. It allows you customize your Facebook cover photos by letting you create gorgeous collages and templates from your photo albums. The CoverCanvas Facebook application includes Custom covers and static covers. Create custom Facebook covers by adding your name in different styles and fonts to your photos. With custom cover option you can use the photos for m your Facebook photo album and manage the look and feel with this free app. If you don,t like the combination made by Facebook Custom covers and want add some more spice on your Facebook timeline cover photo, than try the static covers option. It has lots sub-categories, such as Art, Cars, Celebrity, Love, Music, Photography, Movies, Sports and more. Each category contains lot of cover photos relating to it. From here you can select any of the category that you want and click on Make My Cover to get started. Once you’ve selected a Facebook cover photo, then simply click on Make My Cover button. 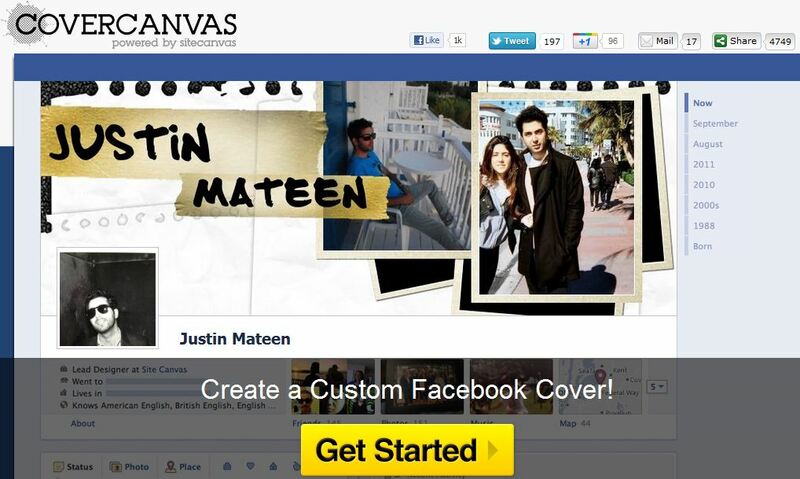 CoverCanvas automatic upload your cover photo in your album and redirect to your Facebook profile. 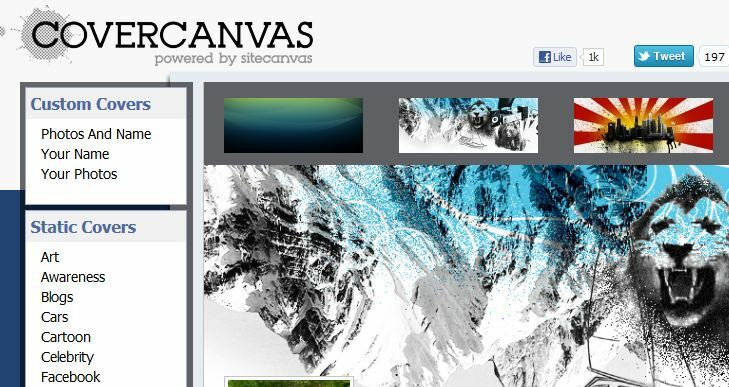 CoverCanvas is free to use web app. It simply accesses your Facebook account, and uses your photos to create attractive covers. We have tried this web app and this one is best and easiest way to create Awesome Facebook Cover Photo. So what are you waiting for? Go and create stunning Facebook covers for your Facebook timeline.